Every room at The Mercantile Hotel is a spacious suite, with separate living and sleeping areas. So, in case you get the urge to move in, you have room to spread out. If you have friends up for cocktails, they won’t have to sit on your bed. (Unless you want them to.) Our rooms are modern and well appointed, with exposed brick walls, and many have city or river views. Relax in the comfort of your spacious suite, with room for entertaining or relaxing, watching the big game, or getting ready for a night out on the town. Loved this place! Exposed brick, record player and jazz records. Couldn’t be happier. Rooms were big and had everything you needed. 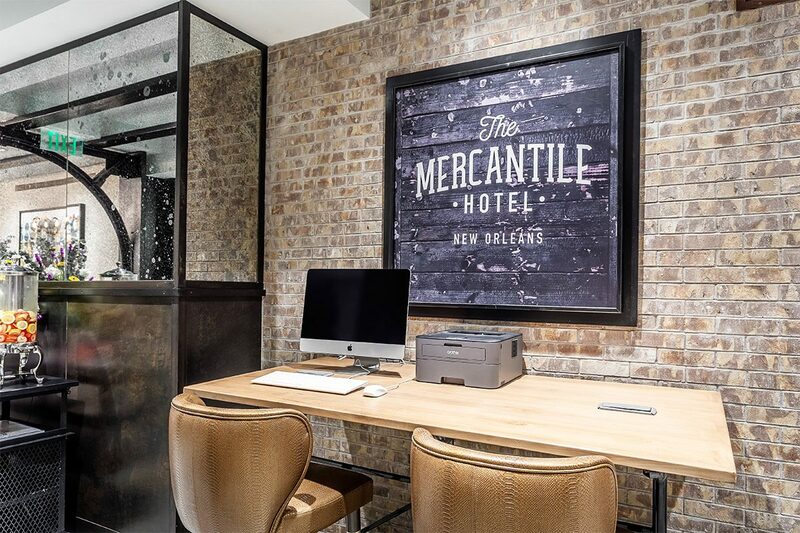 The Mercantile Hotel New Orleans is located in the historic Warehouse/Arts District of New Orleans, a neighborhood that played a key role during the Industrial Revolution as a hub for manufacturing and trade. Enjoy your sweet suite at The Mercantile. 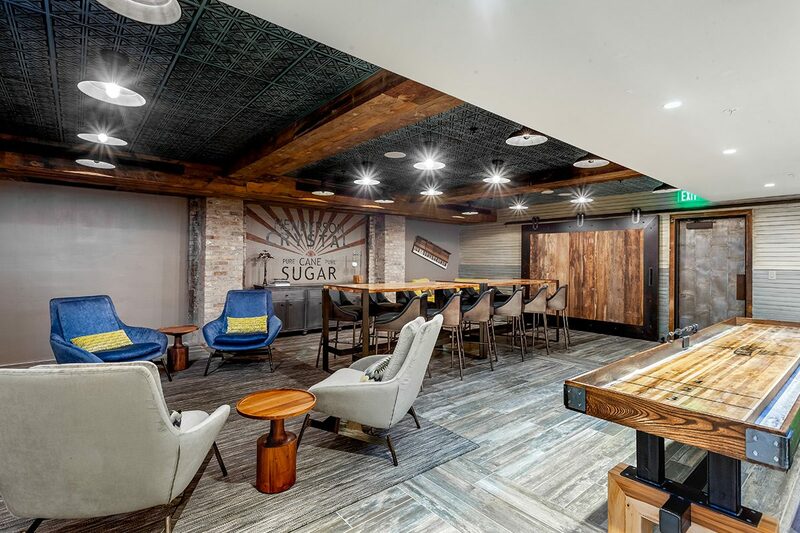 We’re located at the former site of The Henderson Sugar Refinery, a New Orleans landmark and major sugar manufacturer that once produced up to 800 barrels a day. Here, we’re honoring the past and reimagining the future of the boutique hotel experience. 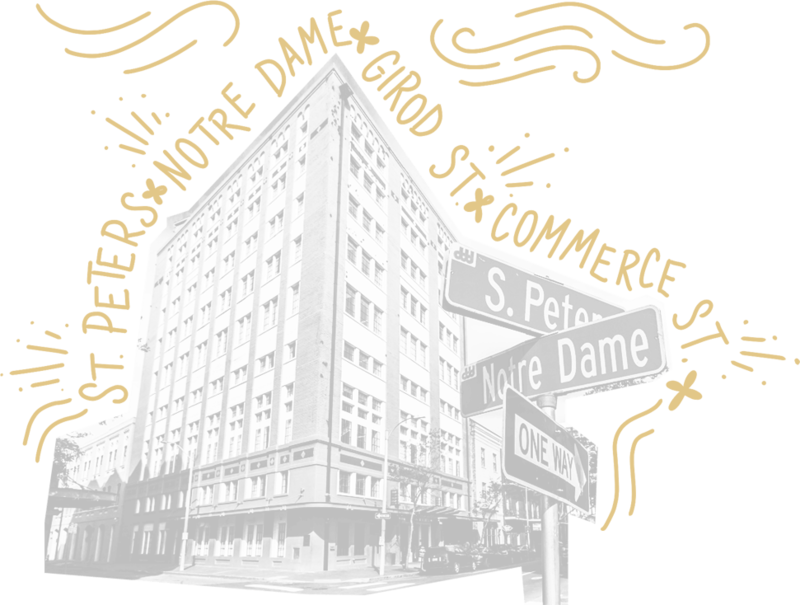 From our front desk to our lobby, we embrace the history of the Warehouse District and carry on the story of our neighborhood.  When you stay at The Mercantile Hotel New Orleans, you become part of that story. From the art that hangs on our walls to the music that echoes through our halls, we connect every guest to the heart of our city … and the memories that shaped who we are today. So ask us for a recommendation, or check out our Local Guide. We’ll be happy to point you in the right direction for the best muffuletta, ghost tour or river cruise. We hope you’ll have fun makingyour own memories at The Mercantile Hotel. Parking in the Big Easy ain’t so easy, so we wanted to give you a few options close to The Mercantile Hotel. 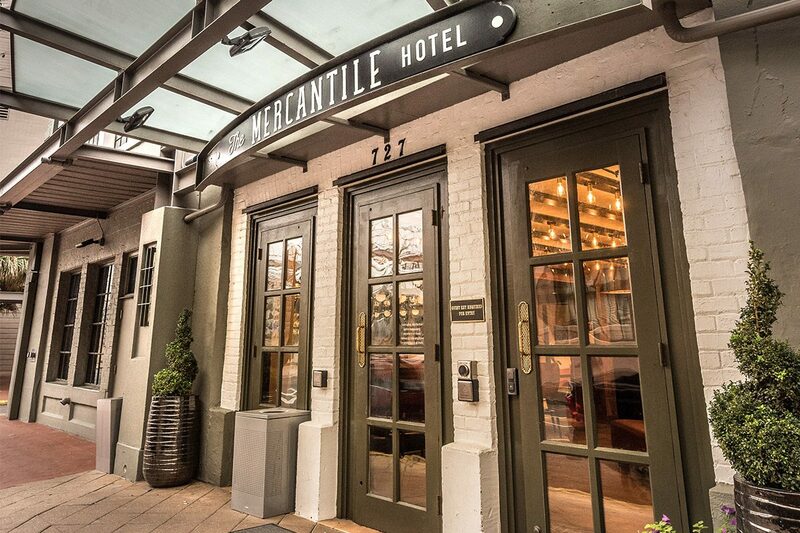 The Mercantile Hotel offers a full-service valet for $42 a day. 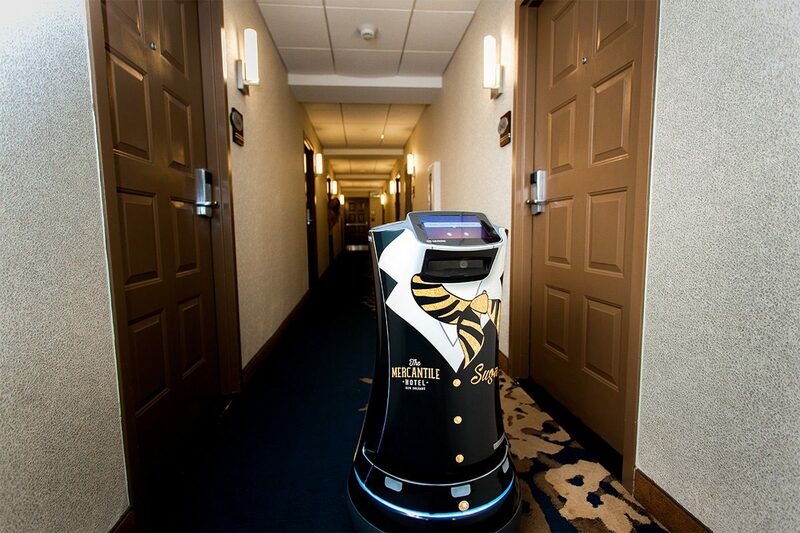 Pull up to the front door of our hotel, pass us your keys and enjoy. There are several economical parking options within walking distance of The Mercantile Hotel. Prices and availability for the lots listed below are subject to change during special events. Our advice is to plan in advance. Great place to park if you are attending a convention or going on a cruise. $10 per day on weekdays. Prices subject to change on weekends and during events. We like to party in the Big Easy and roads sometimes close during special events. If you are coming to town for a city event (such as Mardi Gras, Jazz Fest or St. Paddies Day), please call the front desk prior to your arrival for parking advice and give our valet extra time to retrieve your car. We suggest you park your car and enjoy while you are here! 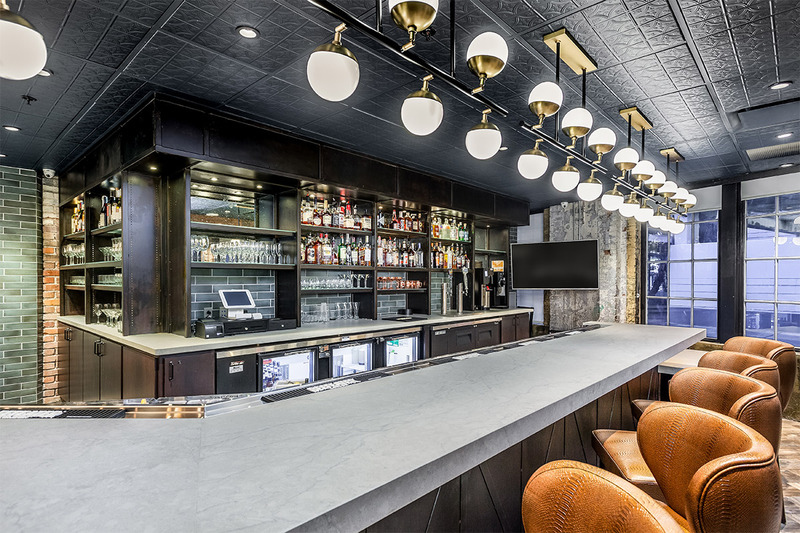 The Mercantile Hotel is walking distance (or a quick Uber/Taxi ride) to the French Quarter and all the best restaurants, shopping and attractions in the Crescent City. Or live like a local and hop on a historic streetcar. 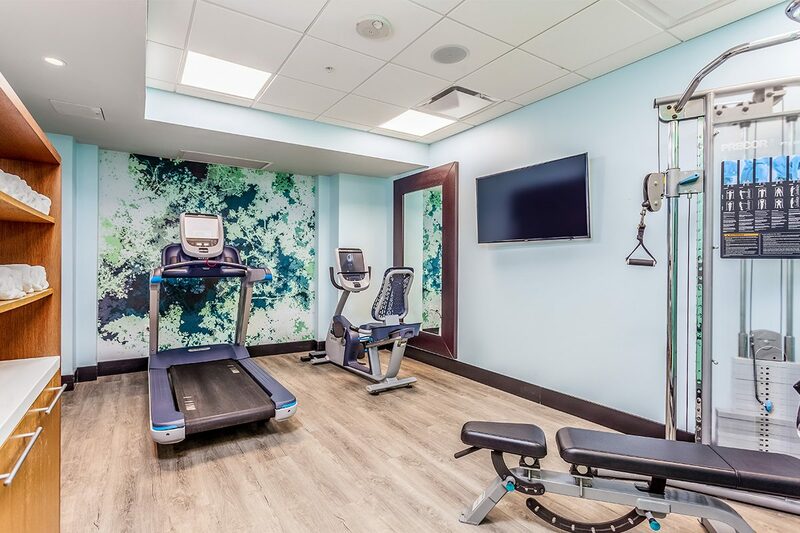 The Riverfront Streetcar line station is two blocks from the hotel, and will quickly transport you to Harrah’s Casino, the French Quarter, the French Market and Frenchman Street. *All prices and availabilities are subject to change. Park at your own risk, and do not leave valuables in the car. Want to know the key to a memorable vacation? Discovering new experiences. The Mercantile Hotel is giving you the key. When you stay with us, you’ll unlock the vacation of your dreams with local advice on where to eat, shop and play. And if you prefer to spend time in your room, you’ll have plenty of room to relax or entertain in your suite. 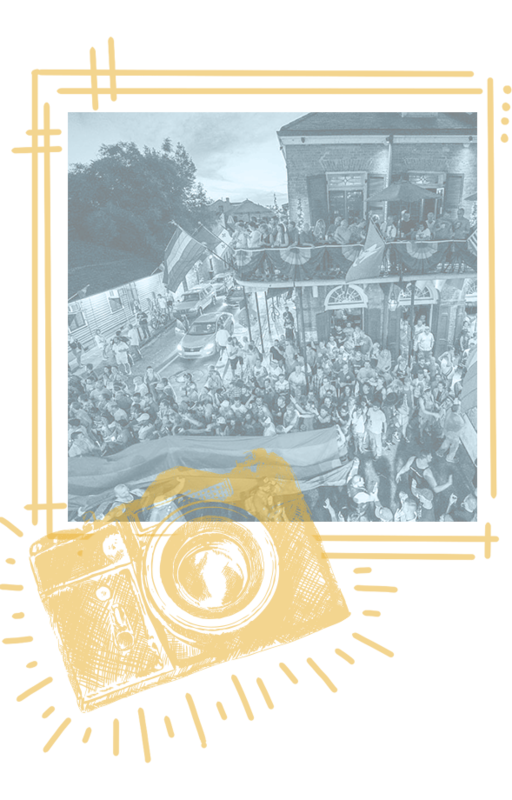 Explore our soulful city, then share your shots using the hashtag #UnlockNOLA to win a souvenir of your stay. Unlock the memories. Unlock the magic… Unlock YOUR New Orleans story.